It’s easy to forget it was the Nissan Qashqai that started the trend for mainstream family SUVs. In fact – as hard as it is to believe now – it was seen as something of a gamble when it was first introduced back in 2007. Few would have predicted the game-changing status it went on to achieve. Back then, conventional hatchbacks still ruled the sales charts, and while Nissan's own offering – the Almera – was one of the weaker contenders, many people had their doubts about the decision to replace it with the high-riding Qashqai. 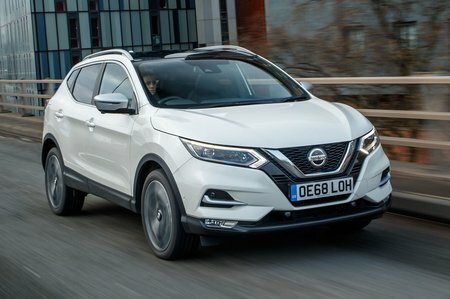 Fortunately for Nissan, the combination of an elevated driving position, stylish, rugged looks and down-to-earth running costs made the Qashqai a huge hit. Consequently, other manufacturers rushed to compete and numerous rivals were soon launched; the family SUV segment becoming one of the most hotly contested in the entire car market. 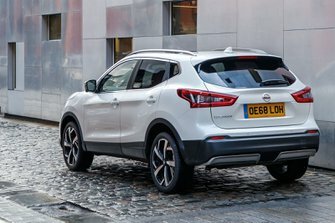 Today’s second-generation Qashqai builds on the ground-breaking pattern of its predecessor, with a range of upgraded engines for 2019. However, faces stronger competition than ever. Plenty of manufacturers now offer practical and stylish family SUVs that are good to drive as well. Accomplished rivals that have joined the fray include the Peugeot 3008, Seat Ateca, and Skoda Karoq, while attractive finance deals can put the sophisticated Volvo XC40 and premium Audi Q3 within reach, too. So, how does the Qashqai compare with these cars, and which version should you buy? Read on for everything you need to know, and then head over to our New Car Buying page, where you can get the best deals going for a new family SUV.